GeoIT.org – Association for Geoinformatics, GeoIT and Navigation e.V. Join us in this hall again at the GeoIT Whercamp Conference 2018! Join our Association for Geoinformatics, GeoIT and Navigation e.V. and be part of a community of 64 personal and 15 institutional members. 21 members hold a professorship and 30 members hold a doctorate title. The top 5 worldwide leading GeoIT Industry companies are also members together with new start-ups. You like to join? Please send an email to president@geoit.org ! You like to visit TomTom’s Berlin Offices in the Treptow Towers? Register for the next GeoIT Talks on Monday, 3rd of December 2018. 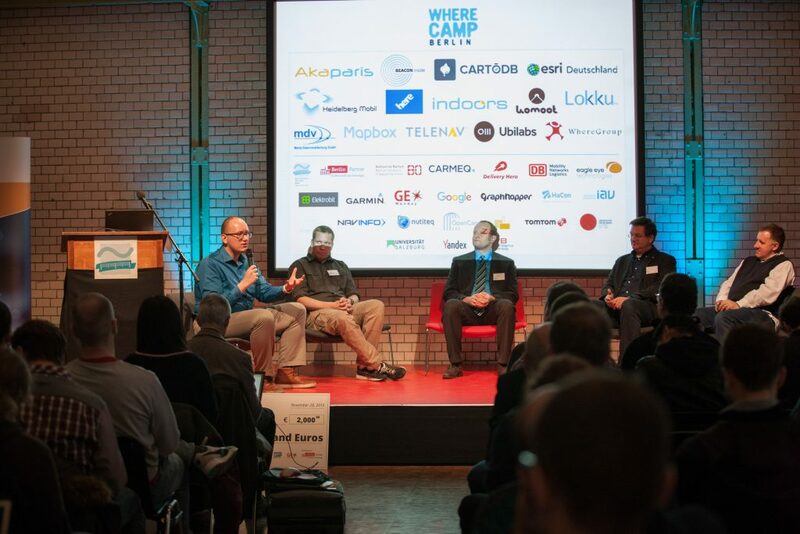 Have a look at the agenda for the next Wherecamp edition on October 24th here. We are preparing the next edition of the GeoIT Talks at the site of our member BeaconInside. But have a nice summer break now and join us in September again. BTW: If you like to contribute a talk, contact president@geoit.org. 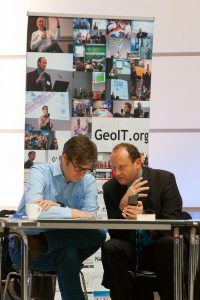 Our registered organization with the short name „GeoIT.org“ has emerged from the former Association for Geoinformatics / Gesellschaft für Geoinformatik (GfGI) together with the Wherecamp and Geomonday Community. The full and legal name is the Association for Geoinformatics, GeoIT and Navigation e.V. The academic sector was the main focus in the first decade after the foundation in 2006. With the election of the new presidency and an advisory board in 2016, the association gave itself a new short name –GeoIT.org-, redefined its focus towards the growing GeoIT industry with navigation. GeoIT.org is the network platform where our members from business, science and technology development meet, discussing future trends, thinkable scenario and upcoming developments. GeoIT.org has an international orientation, we understand ourselfs as a central hub in the world-wide GeoIT network. Therefore knowledge exchange via conferences and meetings is main goal of the association. 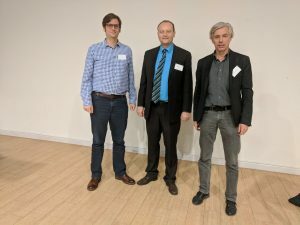 Association for Geoinformatics, GeoIT and Navigation e.V.